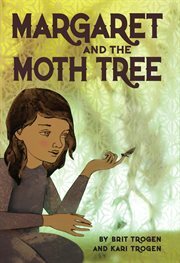 The item Margaret and the moth tree, by Brit Trogen and Kari Trogen, (electronic resource) represents a specific, individual, material embodiment of a distinct intellectual or artistic creation found in Austin Public Library. Margaret lives at the Hopeton Orphanage whose Matron is the cruel and hateful Miss Switch. By using her gift of hearing Margaret meets a community of playful moths. Together them come up with a plan to end Miss Switch's reign of terror. Silver Birch Award (Ontario), Express, 2013.